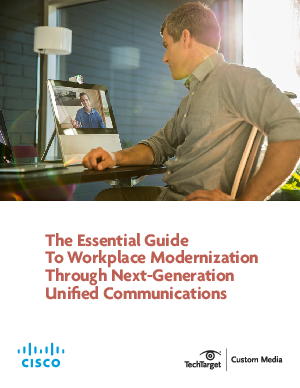 The pace of innovation for collaboration and unified communications (UC) technologies has been nothing short of incredible during the past few years. IT teams are now able to deliver consistent, simple and high-quality experiences with voice, video, messaging and chat from any smartphone, tablet, laptop or conference room system. Users can move seamlessly and securely from one device to the next, escalate from one communication mode to another and share content—all while retaining the context of the meeting or discussion.